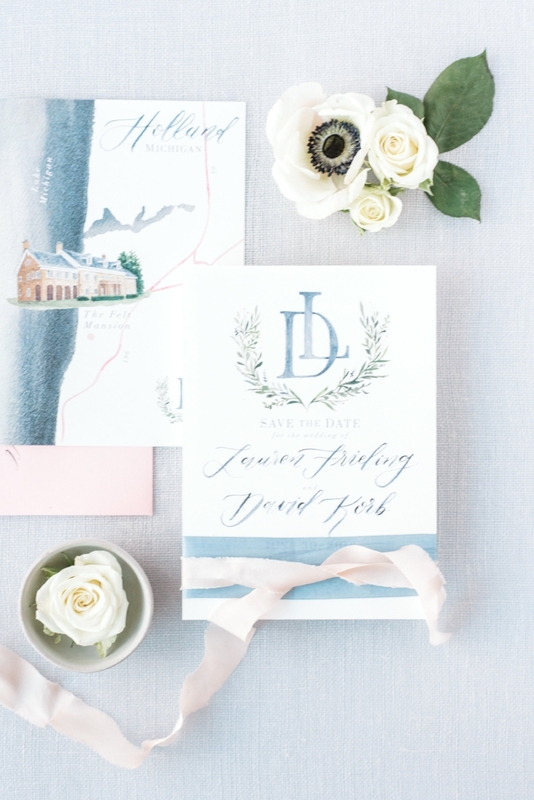 This custom Save-the-Date was designed for a Sable & Gray bride, Lauren, who was wed in June in Holland, Michigan. 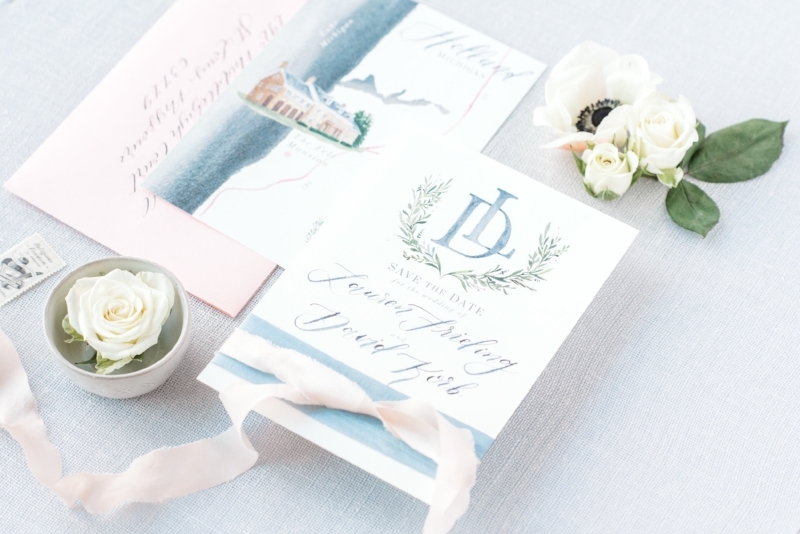 Her Save-the-Dates feature hand-painted watercolor florals, and hand-painted watercolor venue illustration, watercolor calligraphy, and hand-drawn details. 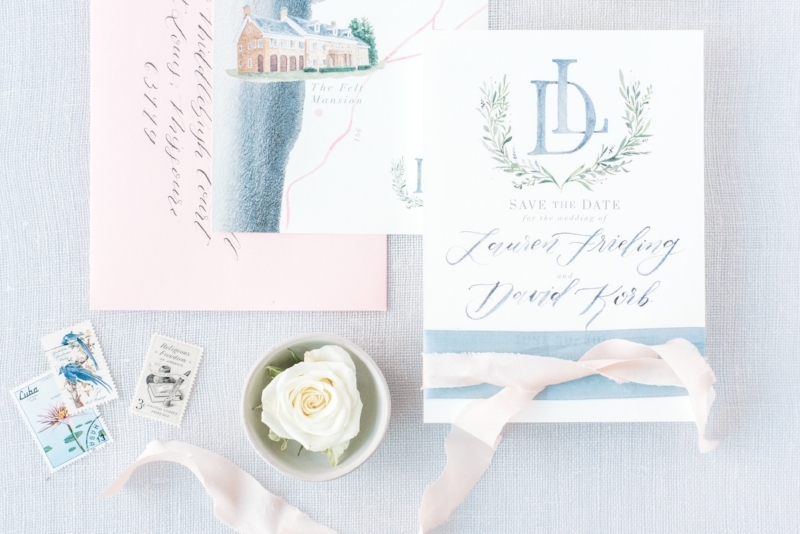 Her Save-the-Dates were printed in full color digital printing on beautiful, cotton paper. 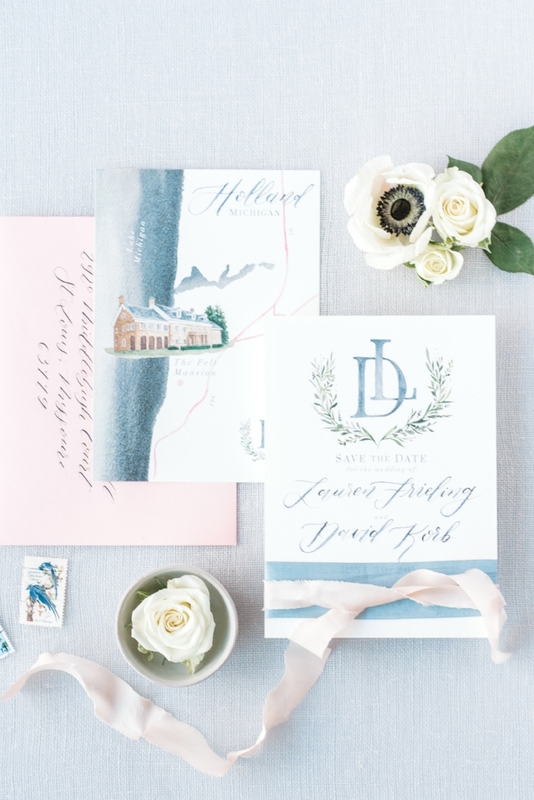 To see her corresponding invitation suite, click here.